Spaniard Ekai debuts on Hector Couto’s Roush Label this September with a fresh two-track offering entitled ‘Champagne In Glass’. Bilbao based DJ/producer Ekai has been making waves over the past few years with notable appearances at the likes of Goya Social Club (Madrid), elrow (Barcelona) and Bilbao Fever in his home city where he holds a residency. With recent remixes on the likes of VIVa, Sagmen and Elrow, plus multiple releases on Baum’s Barcelona based imprint Baumhaus, the emerging talent now touches down on Hector Couto’s Roush for a debut appearance, armed with two dancefloor focused productions. Title cut ‘Champagne In Glass’ opens the two tracker with purpose as the Spaniard fuses soaring, infectious vocal hooks from vocalist Medusa with clean, sharp metallic drum licks and organic percussion elements, before shifting into the bubbling ‘Don’t Touch The Dial’, this time working bumping bass hits, weighty kicks, skipping hats and hooky sampled vocals to reveal a production destined for the peak time. 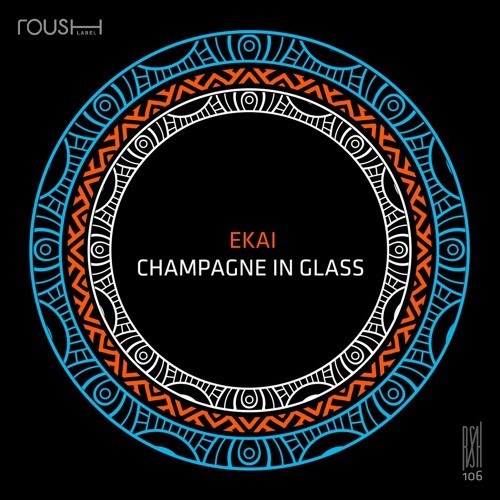 Ekai ‘Champagne In Glass’ is out on Roush on 28th September 2018.Title cut ‘Champagne In Glass’ opens the two tracker with purpose as the Spaniard fuses soaring, infectious vocal hooks from vocalist Medusa with clean, sharp metallic drum licks and organic percussion elements, before shifting into the bubbling ‘Don’t Touch The Dial’, this time working bumping bass hits, weighty kicks, skipping hats and hooky sampled vocals to reveal a production destined for the peak time. Ekai ‘Champagne In Glass’ is out on Roush on 28th September 2018.